A staggering 93% of the workforce in India comprises self-employed and season workers below 45 years. In order to fairly underwrite a risk prudently, prior to issuing policies, insurers evaluate the policy applicant's health status against the disclosures made in the application form. The importance of having a health insurance cover cannot be over emphasized. With 38 million people in India being pushed into poverty every year due to skyrocketing healthcare costs, meeting health costs out of pocket becomes an out of question issue. The government and initiated policy engagements towards attaining universal health coverage in India. Health insurance providers have also aligned their products to achieve more coverage and move closer towards attainment of universal health coverage, here’s how. A staggering 93% of the workforce in India comprises self-employed and season workers below 45years. In order to fairly underwrite a risk prudently, prior to issuing policies, insurers evaluate the policy applicant's health status against the disclosures made in the application form. This is usually done by undertaking certain medical tests. To encourage a large youthful population to take up health insurance many insurers waive the requirements to examine applicants below 45 years of age to undergo medical tests unless prompted so by an applicants’ medical history. It is not only the youthful population that is being targeted, the seniors who fall ill more frequently and thus prompt frequent expenditure from either their pockets or by their children. 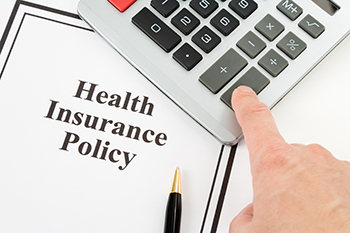 Insurance Regulatory and Development Authority of India (IRDA) set regulations that require health insurers to offer health insurance for an entry age of up to 65 years. The rules state that all policies have to offer lifetime renewability. The insurer cannot deny renewal of a policy on unclear grounds and is compelled to its reasons in writing where it does so. Pre-existing Conditions for a long time have been a hindrance to access of health insurance cover. However, today’s health insurance providers cover various pre-existing ailments. The period to the commencement of coverage stretches between 12 and 48 months. This coverage is usually pegged on the buyers’ honesty when making medical disclosures as at the time of buying the policy. The insurance company retains the right to decline to settle a claim in the event of suspected dishonesty. India is heading towards the attainment of universal health coverage. Private insurers participation through innovation and flexibility of products and policies will help attain this goal.